Snow?! On the morning of my flight south, I awoke to several inches of snow and the likelihood of airport delays, so I was relieved to reach Jacksonville, Florida (the nearest airport to Sea Island) only 90 minutes late on a cloudless 61-degree day. The drive north took about an hour and 10 minutes, the latter miles spilling across ochre-colored salt marshes and arcing over rivers, most dramatically at the handsome Lanier Bridge across the Brunswick River, its twin towers and suspension cables particularly dramatic at sunset. I arrived after dark, and so other than the Cloister—the new riverfront replacement for the pink Addison Mizner hotel that had long been the centerpiece of the resort—I’d have to wait until the next day to see all that had changed. Awaking to a cloudless sky, I headed first to the tennis center. The original complex had 20 clay courts hard by the original Cloister, and the downsizing to just eight courts, all with an underground watering system, had been the subject of controversy, even though those 20 courts had been laid out in an era of chain-link fencing with minimal attention to esthetics. The new tennis center, though smaller, adopts the same Spanish Mediterranean architecture as the Cloister itself. An arching entryway guarded by wrought-iron gates leads to a covered patio overlooking the sunken clubhouse court. Beyond, walkways of inlaid brick pavers lead to the remaining seven, all of them framed by weathered wooden fencing and soft, semi-transparent windscreens. A full-service pro shop faces the sunken court, behnd which rises the 65,000-square-foot spa and fitness center. Most of the people on the court were, however, hoping that their time with Murphy would in fact lead to better results on the tennis courts. So for the next two hours he and two of his pros, Pete Jellico and Jack Glenn, put us 17 of us through a series of drills designed to replicate typical doubles situations: two-up, two-back; tandem movement; recovery; approach shots—nothing on the face of it radically different from what you might get at any number of camps. But two things distinguish these sessions: Murphy’s personality and his stories of the tour. “What’s the goal of any shot?” he asks. When no one answers, he turns to Sara Murray, a 14-year-old local he’s been working with. “To get an easier shot,” she answers. He and I had met the night before for dinner [full disclosure, I was a guest of the resort], and the conversation varied widely, beginning when I ordered a caprese salad in Tavola, the Cloister’s Italian restaurant. He believes his coaching experience with the Washington Kastles of World Team Tennis will help. He took them to a 32-0 winning streak over three seasons. Venus Williams was a member of that team. That attitude carries over to the junior academy he has started at Sea Island. In the course of just a few months, he has taken the program from a few kids to 50. Tellingly, however, when he talks about that program, he doesn’t focus on turning out the next great American champion—though he would certainly be happy if that happened. Instead, he wants to teach kids solid fundamentals and to develop whatever talent they have to its utmost and to infect them with his enthusiasm for the game. 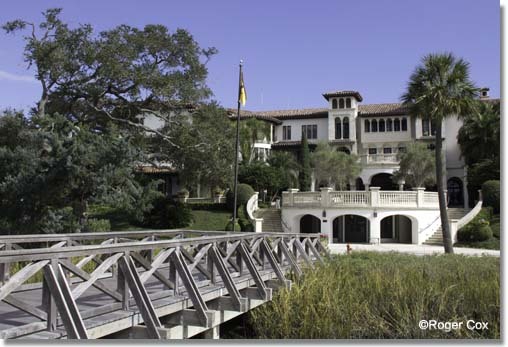 During the summers, Luke joins him at Sea Island and together they run a series of summer junior camps, which were very successful in just their first year. They’re planning to hold full Jensen Brothers weekends, where participants get to spend time with both of them on and off the court. But the Murphy Jensen Junior Academy aside, this is still, as Murphy admits, a work in progress. This interview contains valuable messages for the young tennis players. What I liked about Murphy’s view about tennis training is that it’s a marathon and not a sprint. The young players should be groomed from the basics so that they get to play for a long time that too in a better way. In the game of tennis, along with better equipment what is needed is a better court surface which suits to your playing parameters and weather conditions. Hey Roger! Your the best and thanks for the great feedback while here at Sea Island! Your now an official member of the Sea Island Tennis Family! Everything you wrote is exactly what I’m trying to accomplish here at Sea Island. I have only one mission….to share my experience and joy for the game while providing the best Tennis programming on the planet! I never knew that helping people play better tennis and sharing my enthusiasm for the sport would be so much fun. 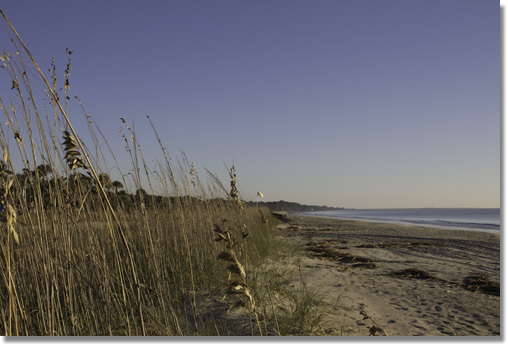 There is no place like Sea Island! 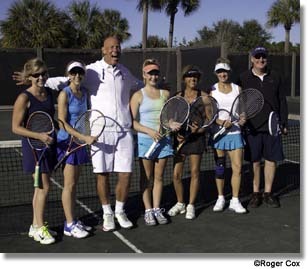 And there is no program like Sea Island Tennis….We love tennis, We specialize in doubles….and we Love what your doing Roger! Great work!!!! COME ON!!!! 2009,2011,2012 World Team Tennis Champion Coach!